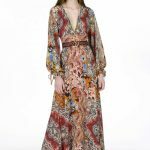 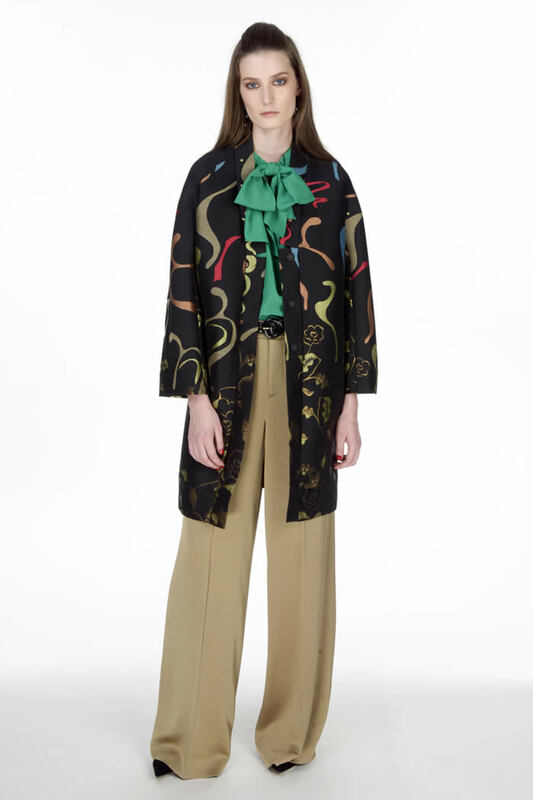 Veronica Etro’s arty approach to pre-fall combined “bold Matisse florals and soft graphics.” Her mix-and-match style yielded elegant, feminine looks including a patchwork silk crepe de chine shirt worn with a flared midiskirt in lightweight wool. 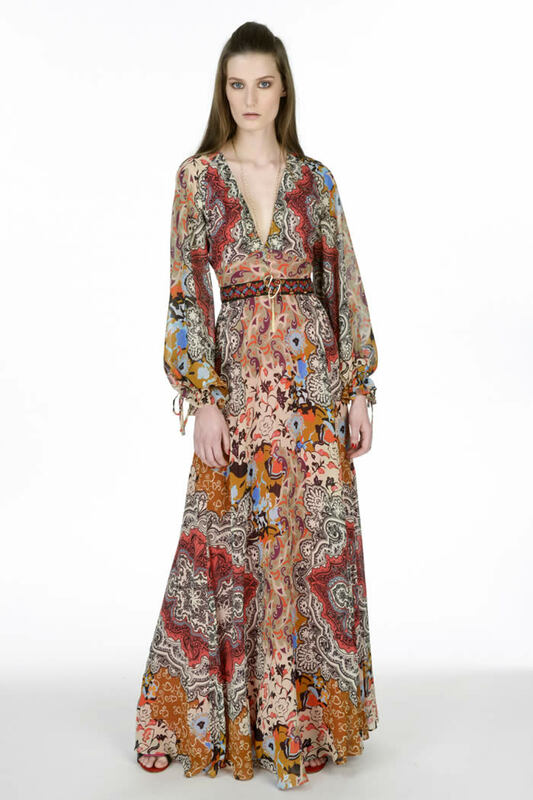 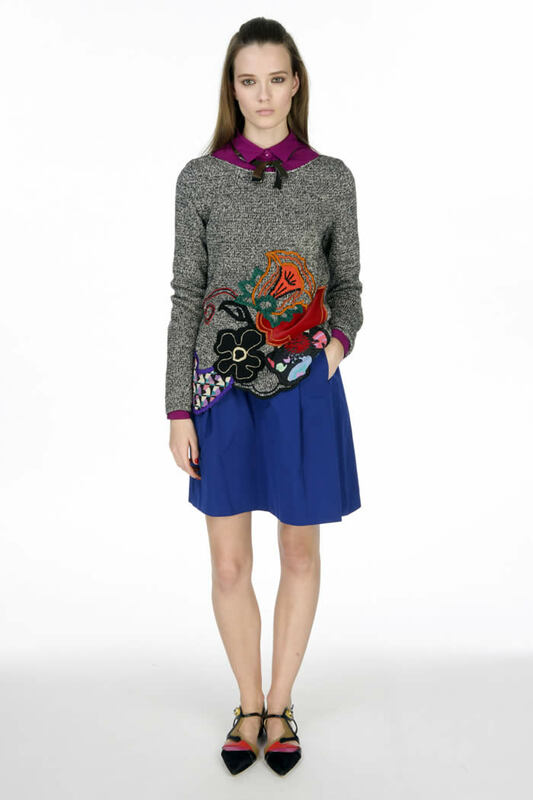 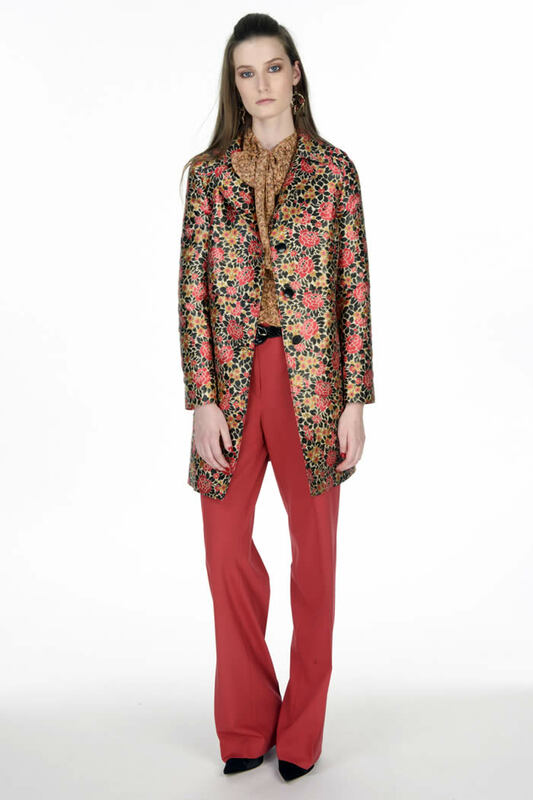 Flowers abounded, interwoven with a signature house paisley on a silk Georgette gown with a plunging V-neck and a sequined grosgrain detail at the waist, and worked into an exquisite intarsia on a cashmere and cotton sweater. 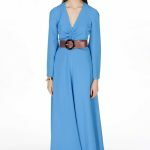 As an antidote to the patterns, a sophisticated, turquoise crepe de chine long-sleeve dress demonstrated that Etro has more to offer than prints.